Matt Marr (@themattmarr) and Jake Anthony (@jakeitorfakeit) are two Southern Queens who adore watching some campy television. They also love any show with real hot guys. We didn't say this was a deep show, y'all. 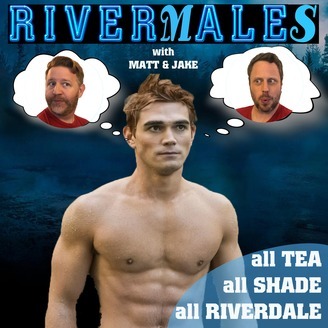 Join the "Sisters" from different misters, as they recap CW's RIVERDALE (with HOT ARCHIE), FX's FUED: BETTE AND JOAN (drag queen acting), and Logo's award-winning, FINDING PRINCE CHARMING. And by "award" we mean it's a hot train wreck of a show that attempts to be the Gay Bachelor. Yes, Jake and Mattie mock everything they watch, but at the same time...they can't stop watching! This show is gayer than Christmas morning in Judy Garland's living room. 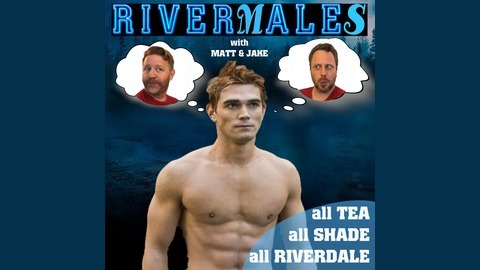 www.tvteatime.com And want to see Jake's face as he judges Mattie? You can also watch our podcast on our youtube channel: Youtube/talktomattmarr. Rivermales 96: Finally! A Betty and Alice Episode! Y'all. We were so happy our two favorite ladies got to have some great scenes and that Betty is getting closer to the coo coo ness of the Farm!